This post is inspired by the game Thea: The Awakening. No, Eerie Linux has not mutated into a games blog. Yes, I will give a short description of the game. But what this post is really about is some thoughts about software development in the past, today and what could be a more open future. Why Thea? Because the developers did something very uncommon: They decided to give the game away for free – if you’re a Linux user that is! The game in question is a turn-based strategy game with a strong focus on survival. There’s a nice background story: The world had turned to darkness (playing the game you will discover why) and is haunted by creatures and spirits of the dark. Now the sun is rising again and the gods have returned but both are very weak and darkness will not give up without a fierce fight. Slavic mythology makes for a very nice and rather uncommon setting. In case you want to give it a try, you can find a download link here. And yes, it is really completely free. 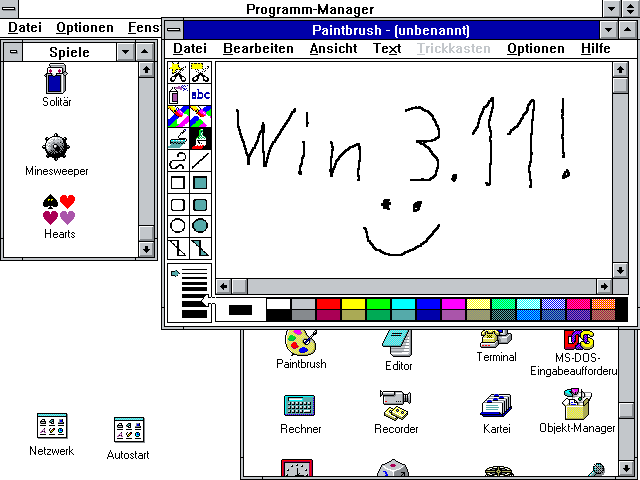 You don’t need to buy the Windows version first or something. The developers stated that they have not even tested the Linux version themselves! So what works and what doesn’t? Most things seem to work surprisingly well in fact. Sound, graphics, even the intro video. I’ve experienced graphical glitches with some white pixels appearing for a second (nope, no AMD video card – it’s Intel!). But this happens just rarely and is a fairly minor issue. Far more annoying is the fact that you cannot really use the keyboard: A key press works but the release event doesn’t… This is a known issue with the version of the Unity engine that Thea uses. It may or may not be addressed in a future release. You can however get the keys released by ALT-TABbing out of the game and back in. That way you can at least always access the menu. You choose one of the gods when starting a game. I’ve played scenarios for multiple gods now. The main story (“Cosmic Tree”) gets pretty repetitive soon since it’s always the same. This is also true for a lot of the other quests. However the game has options to skip a lot of the text in case you already know it which certainly was a good idea. Some of the quests are different depending of which god you chose which keeps things interesting story-wise. Maps, resources, encounters, etc. are randomly generated for each game. This together with a challenging survival, plenty of combinations to try for crafting items and interesting gameplay, Thea might still cause a rather high motivation to replay the game often. I’d like to separate some development approaches here and sum them up by giving their model as I see it a name. These are no official models (I’m not a game developer) but an attempt to sum up the whole thing in one heading. There was once a time when software was developed in a purely closed manner. It was developed internally and when it was ready, a release was done and advertised. The good thing was that games were often cut into “episodes” and the first one given away as shareware so people could try out the game for free and might decide to buy the full product. Advertising grew bigger and bigger as well as more and more aggressive. 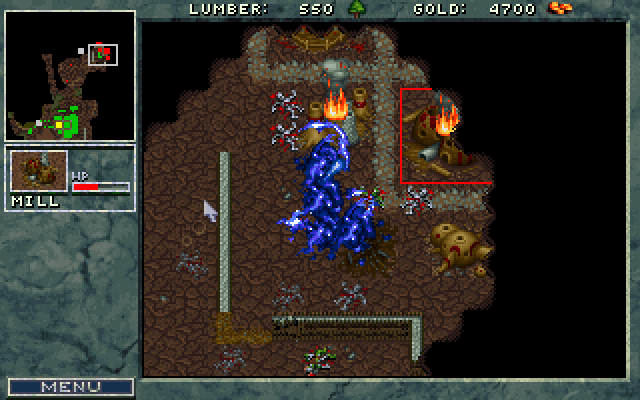 Top titles games were often announced as development begun and some material was released along the development process to keep people hooked. This worked in some cases and failed in others (say Duke Nukem forever announced in 1996). It was a reasonable move to try to build up an audience interested in a certain title early. The problem with that is mainly two things: You cannot keep people hooked for an arbitrary amount of time and such a continuing advertising campaign costs a whole lot of money way before you start earning anything from sales. It’s not a new insight that it is rather helpful for any title to have a large community. Some studios provide forums in an attempt to simplify building up of a community. And it’s also common knowledge today that feedback from that community is extremely valuable: Knowing your audience better helps a lot to provide the perfect product after all! The most important point of this model is that interacting with the players is now bidirectional: There’s advertising targeting them but you certainly want to have (and honor) feedback provided by them. And it also makes sense to think about designing the game and/or providing the tools to easily modify the game and thus make it as easy as possible to create mods for the game. This can also be a huge plus when it leads to a bigger, more active and longer living community! Independent of a single title, there is a possibility for a studio to get itself a good name by opening the source code for older games. This may require some cleaning up work first but some studios have also released code as-is (which can be rather terrible). But usually the community figures out what to do with it and before long the game is ported to new platforms, receives technical updates and enhancements. This has totally made some titles immortal: There are still new episodes, mods and total conversions for Wolfenstein being released. Yes, for a game from 1992 with extremely “poor graphics” (320×240, 8bit) by today’s standards! And there’s not one week without new maps for the mighty DooM (1993). There’s this interesting trend of “early access” games: Players are given the opportunity to playtest games before they are ready for release. People know they have to expect bugs but they can try out a game of their interest early and if they are very committed to it, they can report bugs as they encounter them. This is a classical win-win situation: The developers get a broad testing done for free and the players can have a peak into the game early. Oh, and any form of interaction is of course always a good thing. That’s a rather new thing and basically means that some developers try to get their game crowd-funded. This can succeed and this can fail. There are examples for both cases. But while this is clearly a development model since it has a lot of impact on it, I’d say that it’s also more of a special case than a general model. MuHa Games have made one clever step ahead with Thea as the gain of giving the title away for free on Linux is really considerable. How’s that? Well, if there was no Linux version, Linux people wouldn’t have bought the game, either. So giving it away is no actual loss: The number of people of the “hey, I would have bought it for Windows but why should I since I can play it for free on Linux!” kind are most likely extremely rare – if they exist at all. No loss is fine, but where’s the actual gain? Well, there’s the “Just bought the Windows version. Besides: I don’t run Windows at all” type of guy. These people alone should suffice to cover the costs of the additional efforts to package a Linux release and upload it somewhere. But that’s not the main point at all: Can you say “Free advertising”? People talk about the game and people write about the game, many of which would not have done it if it had just been an ordinary game! Now with the free Linux release the game, MuHa managed to make it stand out (and that is not too easy today). For these reasons giving it away proves to be a very sensible PR action! I do not mind if that was intended or not. That doesn’t change the facts. So what could the future hold? I can imagine that making the community engage even more would be a big benefit. From a studio’s perspective, fans do unpaid work because they love the product. And from the fan’s perspective it’s just cool to be part of one of your favorite games and help improve it. What could this look like? My vision is to sort of blend closed source development with what we learned from open source development. It’s cool that people playtesting a game can report bugs via forum or email. But when will the first project set up a public bugtracker along with a tutorial on how to use that for bug reports and maybe (sensible) feature requests? Then: What about translation? Open source achieved made very, very good results using translation frameworks like Transifex. Now Thea is only available in English. My native language is German and I would not have minded at all to dedicate some time translating a few strings (I got a nice game for free after all!). There’s a lot of potential in this. And along that it would totally make sense to avoid using proprietary containers for files. I did not bother to try to extract text out of whatever format it is that MuHa uses for Thea. 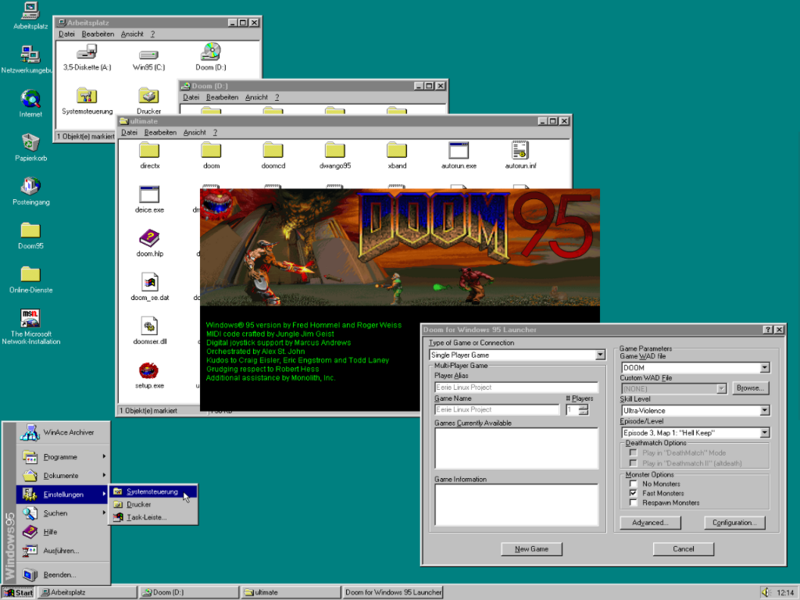 In 1999 ID Software did a clever thing for Quake III Arena: They used container files called “.pk3” – which were simply renamed, uncompressed Zip files. The benefit is obvious: Everybody can extract the resources, modify them and put things back together. Great! I noticed a lot of spelling mistakes in Thea. If I had had access to the game text you’d have received a series of patches from me (and by applying they you’d instantly see which ones are still valid and fixing mistakes). Wouldn’t that be a great way to improve the game? Can open source work for a commercial game? Well, why not? Open source alone does mean just that: The source is open. It does not say under which license and it does not say that it’s free. Now I generally support as much freedom as possible – but that last word there is important. A more open development is a nice improvement IMO. There’s no reason to demand more than that. Addressing the problem could however also be easy: You sell games in early access? Buyers get the code and know that it’s early and may not be in perfect shape (and can actually help improving it). Again both sides win: The studio gets code review and maybe some patches plus some people may even attempt to port the game to platforms unsupported by the studio. The players get better games they can help to improve, take modding to the next level and even a chance to see what coding is like and get yourself some reference work if you intent to work in that industry! There’s one other issue, though. In many cases studios will want to hide some things from competitors. That may be old (and at some point hopefully obsolete) thinking but we have to accept it as a present fact. So what about this? Well, those things could be put into libraries… It’s far better to have the program code open and make it use closed libraries than having nothing open at all! Who’s stepping forward making the next step in game development? I’m really curious if something in the direction of what I wrote here happens any time in the future. For each step there’s good press to catch for free again, you know? 😉 Perhaps some small studio dares to make the move.